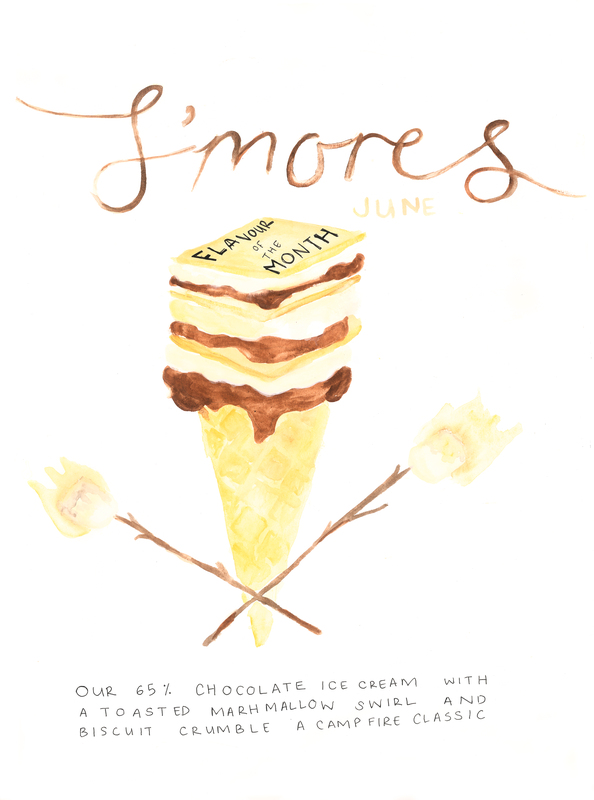 We’re excited to announce June’s Flavour of the Month is S’Mores. A campfire classic, centered on the toasted marshmallow. Traditionally, S’mores (or “some more”) is a toasted marshmallow, sandwiched between two whole wheat biscuits with a chocolate square. The hot marshmallow melts the chocolate, and fuses the ingredients into a delicious, crunchy-yet-chewy dessert sandwich. And aren’t the best treats eaten with your fingers? Inspired by this classic, we have created the ultimate S’mores Ice Cream – our popular 65% chocolate ice cream, with swirls of (gelatine-free!) homemade toasted marshmallow sauce and crumbs of crunchy, wholewheat buttery biscuit. Cold, chewy, sweet & crunchy – all at the same time! Another option is our S’mores Sundae. Toasted marshmallow sauce and a home made wholewheat biscuit (fresh from The Creamery kitchen) sits atop a scoop of your choice – our favourite combos are Peanut Butter or Rosetta Roastery Coffee. All finished off with a swirl of hot chocolate sauce. And for the true Creamery Fans – why not try a S’mores S’mores sundae? Double Sundae + Flavour of the Month! Some more, and some more and some more! 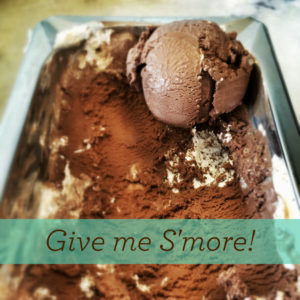 S’mores ice cream now available in scoops in pints to take home. The Creamery- Is our ice cream halaal? © 2019 The Creamery. All Rights Reserved.